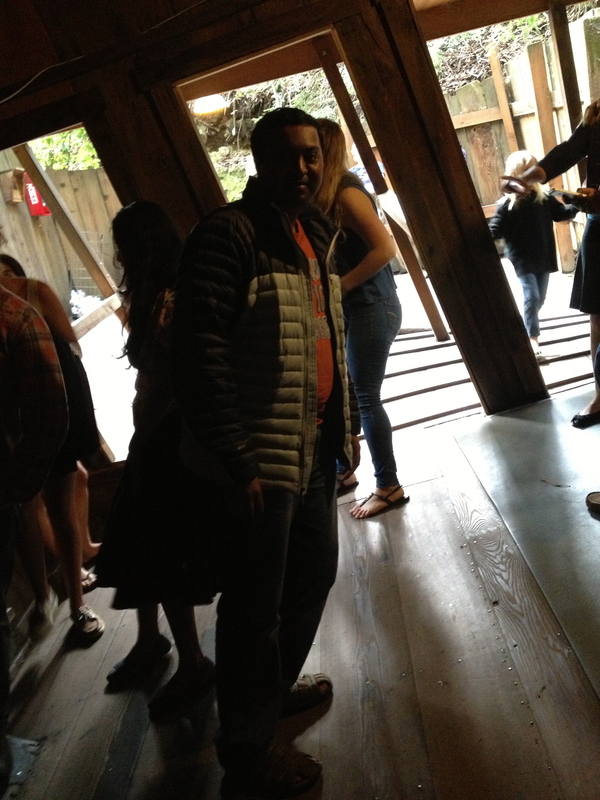 Mystery Spot was interesting and the strange phenomenon there could only be explained by some kind of magnetic force, we would literally stand at an angle in the centre of the mystery spot, and the host was very comic and entertaining, so the visit felt worth it. 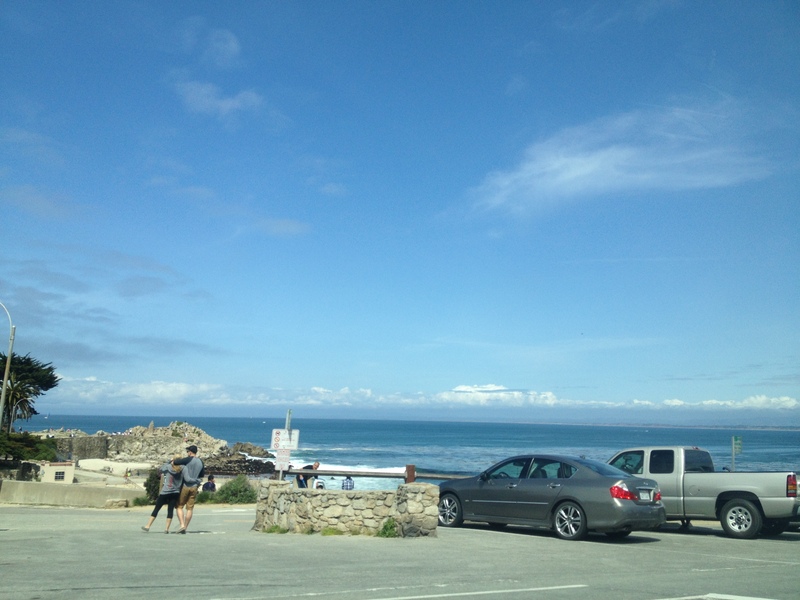 Ocean View Boulevard is one of the most beautiful places to drive around and we actually saw a couple of weddings in the open lawns on that road which gives an idea of how scenic that place was. 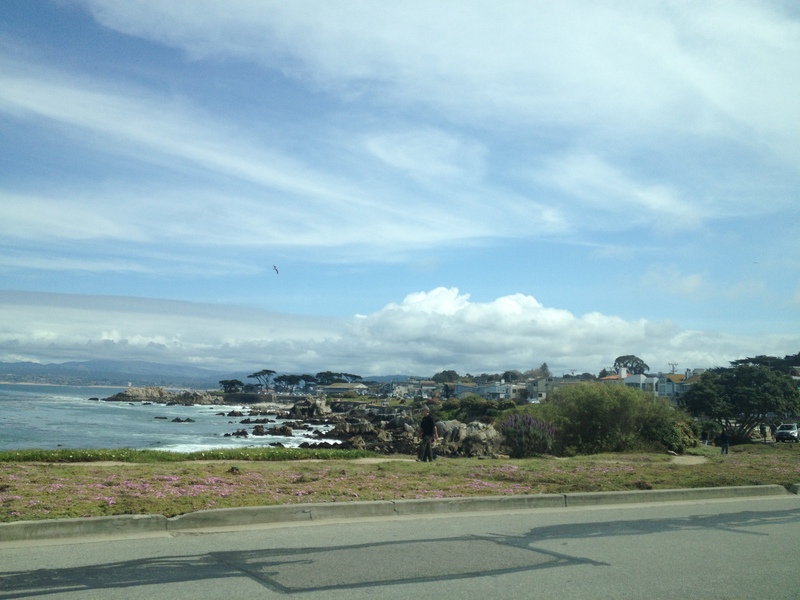 17-Mile Drive was a nice drive along the coastline. 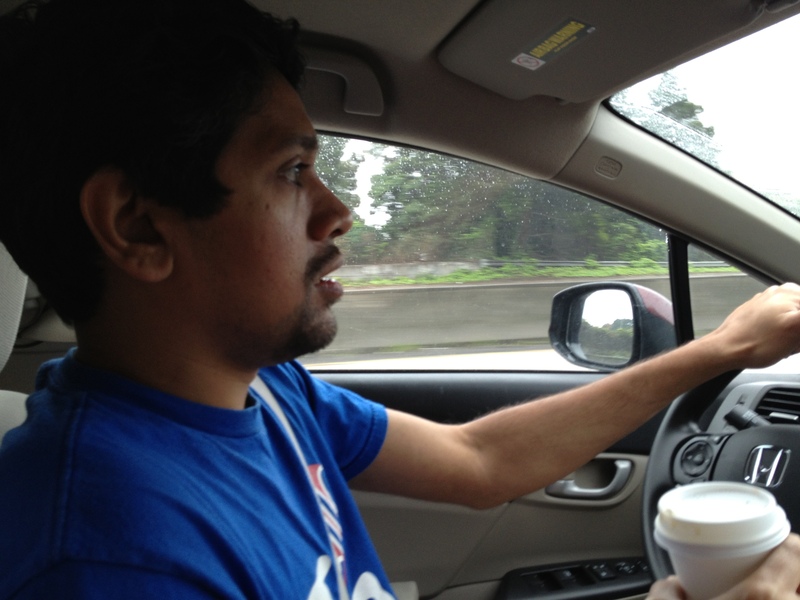 The fun part for me was when Karthick decided to teach me how to drive in the USA and I was so nervous of all the rules (solid line vs. dotted line, whoa! 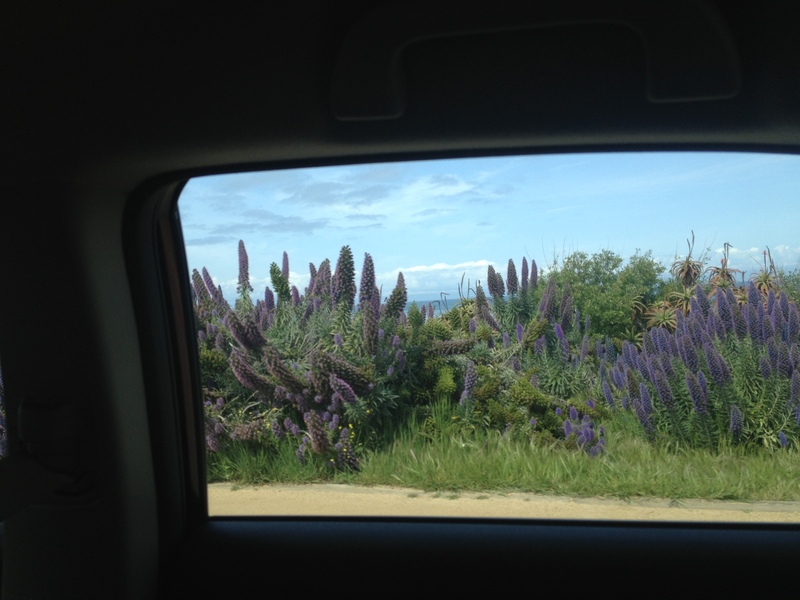 ), but he taught well and I got the hang of it, although, maintaining an average of 60 miles per hour on the highway is daunting as I’m not used to those speeds. 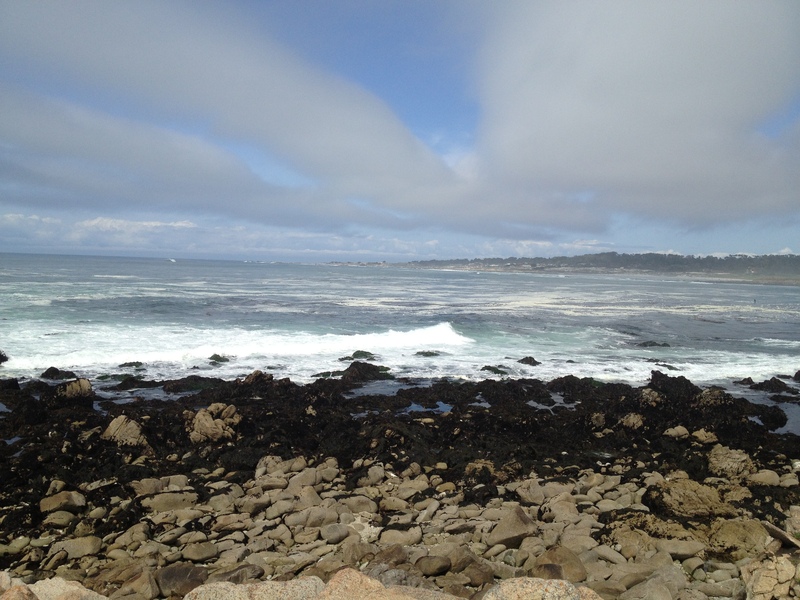 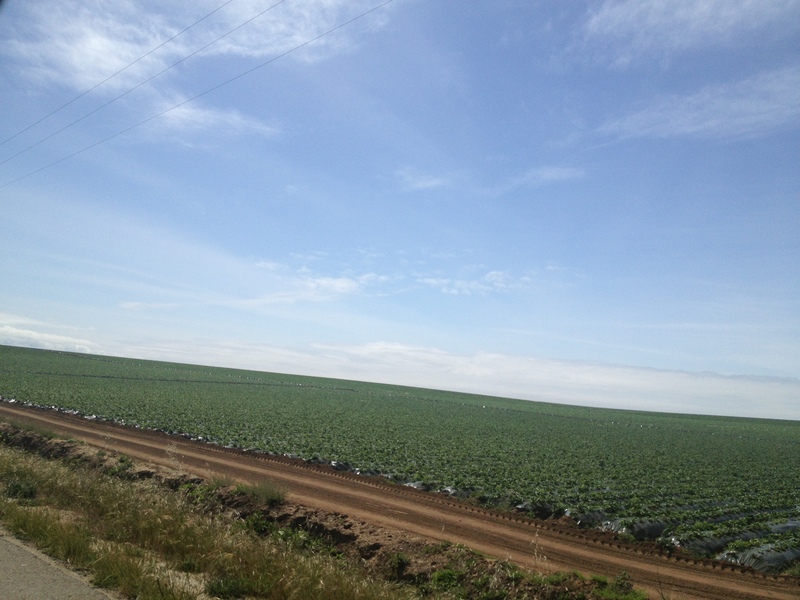 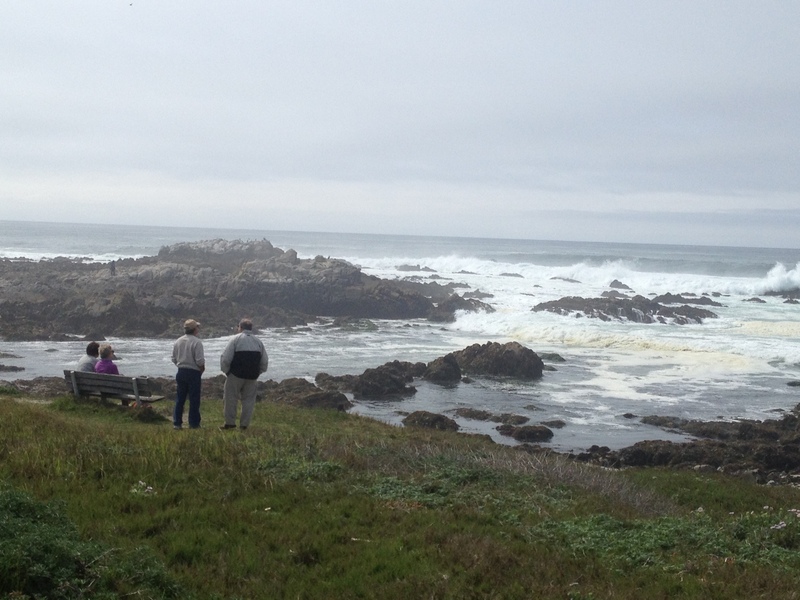 Monterey Bay is one of my favorite vacation spots. 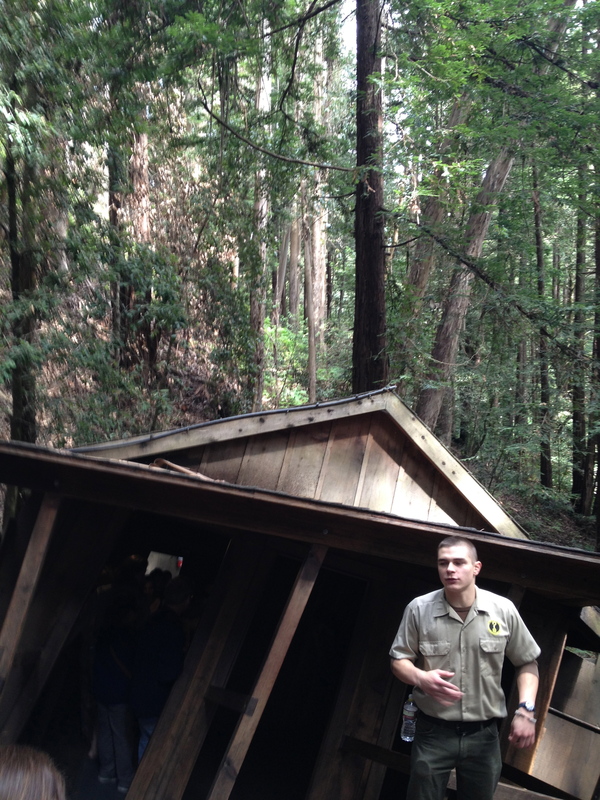 Although I have been there a dozen times, I have never been to the mystery spot.